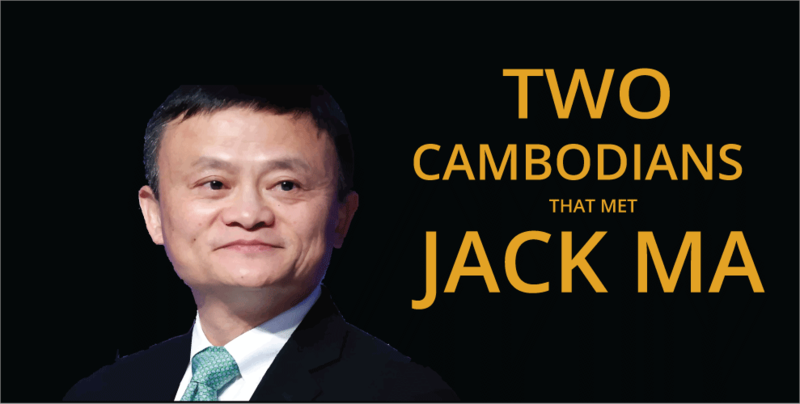 Two Cambodians had the privilege of meeting Alibaba’s very own founder and Executive, Jack Ma, and now, they are here to share with us what they have learnt! Sim Chankikiriroth, the CEO of Banhii and Chea Langda, the CEO of Bookmebus had the opportunity to meet Jack Ma during a 11-day eFounders Fellowship Program. The program was organised by the Alibaba Business School and the United Nations Conference on Trade and Development (UNCTAD) where Ma spoke to 37 young entrepreneurs from all over Southeast Asia. Ma imparted leadership tips and shared his 19-year entrepreneur journey. The hour-long discussion was the finale of the 11-day programme. Applicants were chosen for their exceptional records in their respective fields of mobile payment, tourism, big data, fintech, logistics and e-commerce. They are founders or co-founders of a platform-based venture and have immense knowledge of the landscape of these six respective fields in their country. Come down to the Emerald Hub, 11th floor of PPIU building on May 1st to learn more about the duo’s amazing experience. As the pair share their learning points from one of the most successful entrepreneurs in the world, be sure to have your pens and paper ready to take down important notes! Register now!